Merchants stand in front of merchandise outside storefronts in Danville. Businesses featured include J. G. Hull Hardware and Lyons and Loftus Groceries. 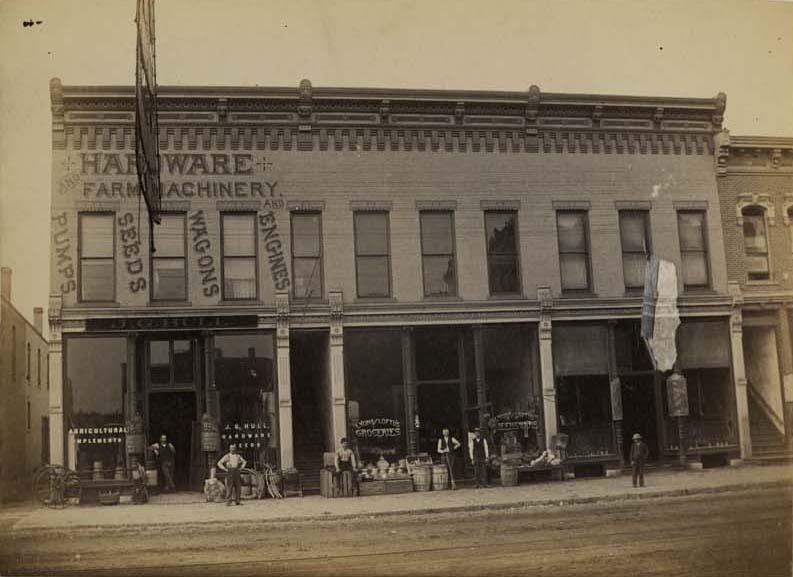 “Hardware and Grocery Stores,” Chronicling Illinois, accessed April 25, 2019, http://chroniclingillinois.org/items/show/26760.